A range of mains power supplies are available for powering our lasers. 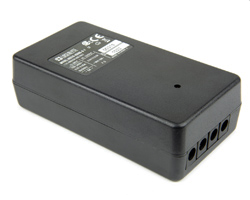 The PS-1 & PS-4 range run on 110-240Vac input via an IEC mains lead (supplied) and has the benefit of a power on LED indicator. 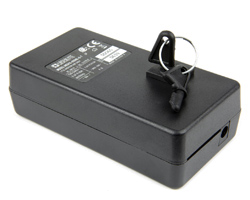 An optional key switch allows the power supply output to be switched on/off at the power supply. The PS-1 has one output to power one laser and the PS-4 has four outlets to power four lasers. All our power supplies are CE marked.